Watch the trailer below, then keep reading to learn more about the inspiration behind the story. Congratulations on Hazardous Tales Book 7! What made you decide to explore World War II this time around? What kind of research did you do for RAID OF NO RETURN? And do you enjoy that process? Nathan: I knew WWII was going to be challenging. There are a lot of things that have to look just right—the uniforms, the ships, the planes, the guns—and, unlike a lot of the periods I’ve covered, these things were all recorded on film. So I couldn’t fudge any details. This book spends a lot of time dealing with the B-25 bomber. I knew I’d be drawing it again and again. I made plans to go see surviving planes. I was able to tour the inside of one and take reference photos that were extremely valuable in recreating scenes in the book. I also purchased one of those classic kit model versions of the B-25 and assembled it (I thought I’d be better at building those now, as an adult—turns out, those skills did not improve with adulthood). I could fly the model around with one hand, and draw the plane with the other. That little plastic model was one of my favorite pieces of “research” ever. What’s it like to translate real people and true stories into comics? Nathan: It’s tricky, because you want to have a fun and engaging set of cartoon characters, but you also don’t want to seem disrespectful to real people who did amazing things and made incredible sacrifices. I’ve never written about a living person in a Hazardous Tales book until now. One pilot from the Raid is still alive. He’s 101 this year. The book is dedicated to him. What is your storytelling process like as both writer and illustrator. Which comes first? 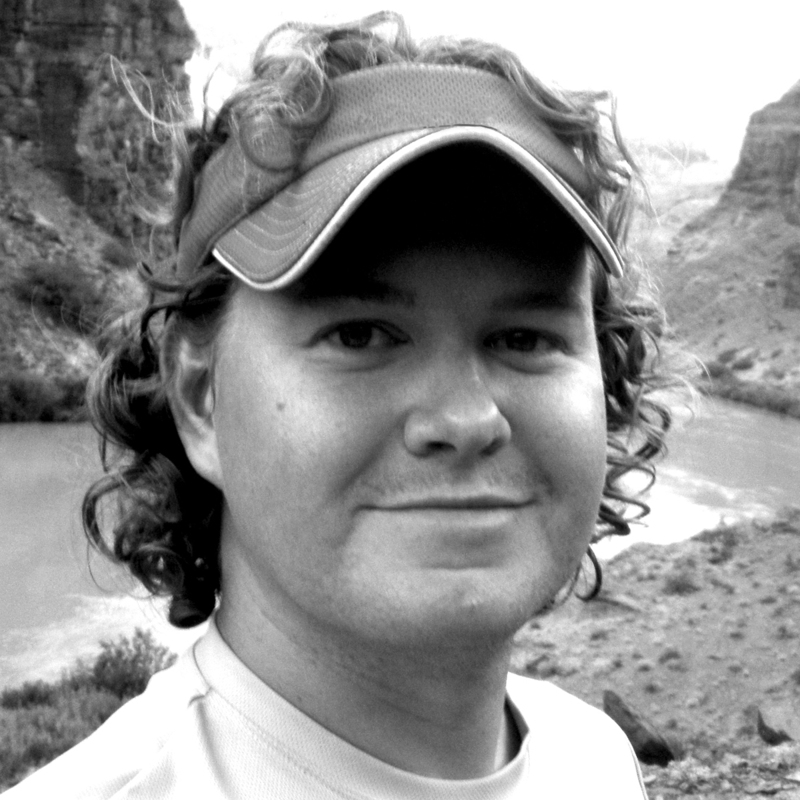 Nathan: The writing always comes first—actually the research comes first. But before I create a single drawing, the manuscript will be completed, edited, and carefully fact-checked by the publisher. Only after we are sure that all of my history is sound do I start the drawings. Then it’s back to the research to make sure everything LOOKS correct. The research is there constantly through the writing, then constantly through the drawing. What’s a page or excerpt from the book you’re really excited for readers to see? Nathan: I don’t want to spoil too much. There are some fun spreads in the book trailer that don’t give too much away. One thing I’m excited about is how many sound effects this book has. More than any other Hazardous Tales book. I’m excited to hear readers making these noises as they read. The drone of the plane engines, the dropping bombs, the machine guns, the explosions—it’s a LOUD book. And nothing beats making sound effects while you read a good graphic novel. Thanks for sharing RAID OF NO RETURN with us! Is there anything else you’d like to share with our readers? Nathan: As I visit schools and meet readers, I’m stunned at how many history fans there are! When I started this series, I knew there would be a few history buffs here and there. I had no idea how many! Turns out there are tons of readers who just love diving into nonfiction and getting into all the messy details of history. I love it! 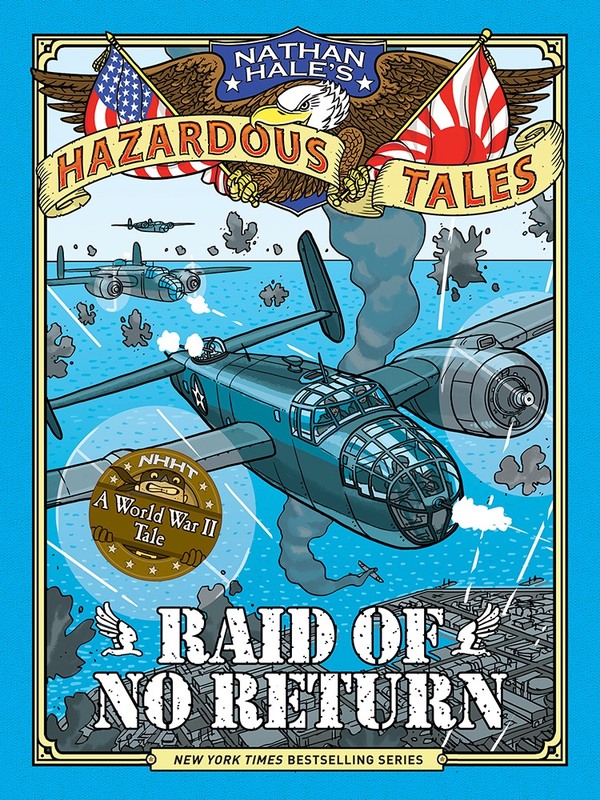 Raid of No Return (Nathan Hale’s Hazardous Tales #7) will be on sale from Abrams Books beginning November 7, 2017.